In 2011, the Lyell Lectures in Bibliography at Oxford were given by David Parker. His five public addresses offer an insight into a twenty-first-century approach to New Testament textual criticism. Parker surveys the varied manuscript heritage of the New Testament, the interrelationships of the witnesses, and the shape of a future, electronicaly created critical edition of the text based on the earliest recoverable text of each book, an authorial original being a chimera. 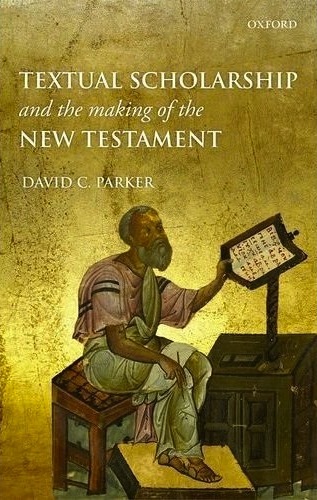 ... Much of what David Parker has to say about the New Testament in this enthusiastically written book is applicable to other literatures, especially those that also have such a rich but fluid manuscript and literary heritage. But wait, Elliott doesn't say, did Parker have any acknowledgments or dedications? We need to know!